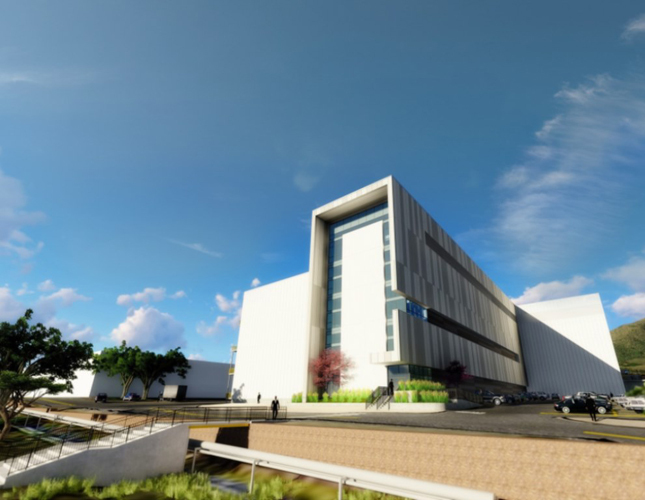 Preliminary construction is underway on a new, $350 million Lockheed Martin facility that will produce next-generation satellites. Located on the company’s Waterton Canyon campus near Denver, the new facility is the latest step in an ongoing transformation, infused with innovation to provide future missions at reduced cost and cycle time. Lockheed Martin’s new satellite integration facility will make its Waterton Canyon campus one of the largest space technology centers in the country, with 3.5 million square feet of research, engineering, test and office space. “This is our factory of the future: agile, efficient and packed with innovations. We'll be able to build satellites that communicate with front-line troops, explore other planets, and support unique missions,” said Rick Ambrose, Executive Vice President of Lockheed Martin Space Systems. “You could fit the Space Shuttle in the high bay with room to spare. That kind of size and versatility means we'll be able to maximize economies of scale, and with our entire test chambers under one roof, we can streamline and speed production,” he added. “Aerospace is an engine of innovation and growth for America, and we're investing in infrastructure and technology to help strengthen the nation's leadership in military and commercial space and scientific exploration,” Ambrose explained. “We're transforming every aspect of our operations to help our customers stay ahead of a rapidly-changing landscape. The Gateway Center, coupled with advancements in 3D printing, virtual reality design and smart payloads, will deliver game-changing innovations while saving our customers time and money,” he concluded. Lockheed Martin’s Waterton Canyon campus has been a hub of space innovation since the 1950s, with more than 4,000 employees and a wide range of industry-leading design, manufacturing and test facilities on site. Spacecraft currently in production at the site include the Air Force's GPS III satellites, NASA’s InSight Mars lander, NOAA’s GOES-R Series weather satellites, and commercial communications satellites.